We are passionate about helping our clients achieve their goals and ambitions. Our FRESH approach focuses on you and your plans, goals and opportunities. We help you see beyond the numbers.  We provide accountancy, tax and business advisory services to help you grow your business, save money and taxes, strengthen your financial management, improve systems and controls and avoid the hassle and complexity of accounting, tax and business regulations. We offer a modern and forward-looking approach, whilst retaining all the traditional values expected from a professional firm. Need help with you business plans and growth? Are you overwhelmed by the complexities of managing your working capital, funding and cash flow? Could you benefit from a business health check today? Have you received an HMRC notice or had penalties imposed? Do you stay within your Circle of Competence? Could you benefit from experts in business, finance, tax, and governance to strengthen your business? Lets meet and have a conversation about your how we can help you! We occasionally post commentaries and news to keep our clients and professional colleagues up to date. Or join our push notification service. Simply want to have a conversation with another professional. Seize this Day! Contact us to arrange an introductory meeting and have an conversation.